Home Article Debby Clarke Belichick maintains low profile post divorce with Husband of 28 years Bill Belichick : Is she Dating someone? Debby Clarke Belichick maintains low profile post divorce with Husband of 28 years Bill Belichick : Is she Dating someone? Debby Clarke Belichick is the former wife of the head coach of the New England Patriots of the National Football League (NFL), Bill Belichick. Debby and Bill divorced in 2006 after 28 years of married life. 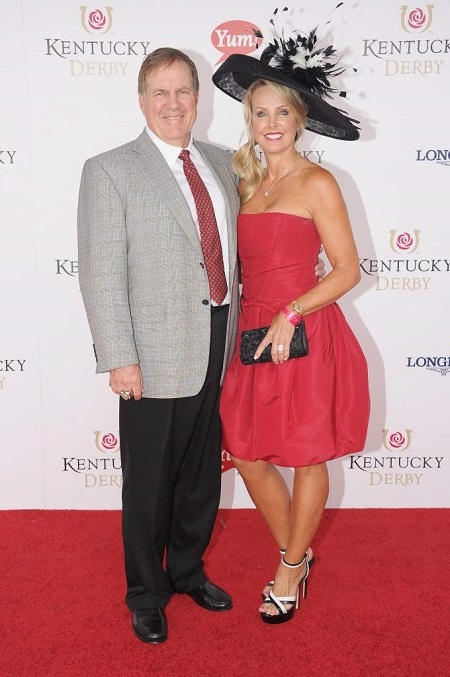 While Belichick has already moved on with girlfriend Linda Holliday since 2007, what about Debby? Has she found someone? Who is she dating? We have all the answers here. Debby Clarke Belichick has maintained her personal life low profiled ever since her divorce with husband of 28 years Bill Belichick in 2006. Though her husband has moved and is in a relationship with Linda Holliday since 2007, Debby is definitely single and hasn't been romantically linked to anyone. Bill Belichick and his former wife Debby Clarke Belichick. Bill and Holliday first met in 2007 at a Florida nightclub and are together since then. 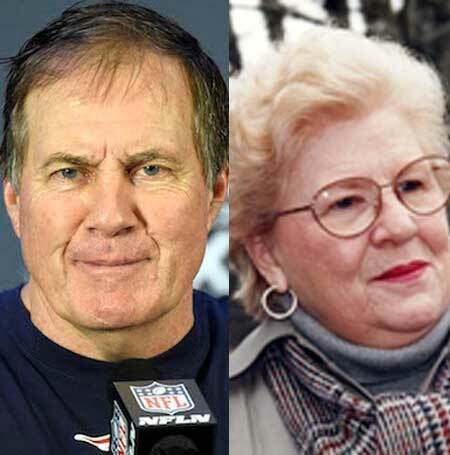 Bill Belichick and Linda Holliday dating since 2007. Holliday and her beau Bill are getting very serious with their love affair that they frequently appear together on social media. Debby seems to be busy with her work as she owns a new tile store, The Art of Tile & Stone, in Wellesley along with her friend, Paige Yates. The store provides a design installation of new stone. As she has kept herself so busy in her profession, it doesn't seem that she may get married at this time. No doubt, she's living a happy family life. Debby and her former husband Bill were married for nearly three decades. The couple started dating during their high school days. They exchanged the vows in 1977 and are blessed with three children, a son, Stephen Belichick born on March 25, 1987, a daughter, Amanda Belichick and a son, Brian Belichick. Both of their sons, Stephen and Brian, work for the Patriots whereas daughter Amanda is a college lacrosse coach. The eldest son Stephen was a lacrosse player during his college days. He is widely known to play against Patriots' wide receiver Chris Hogan. 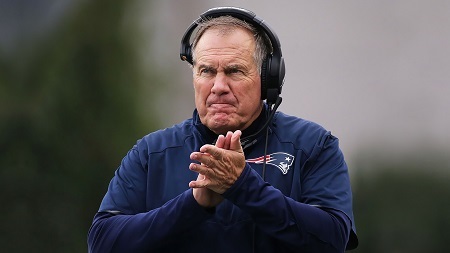 At present, he works as the Patriots' safeties coach. The youngest child, Brian studied at Trinity College. He was also keen on playing lacrosse. He was selected as a scouting assistant for the Patriots earlier in 2018. The couple together founded Bill and Debby Belichick Charity Foundation in 1993. The foundation supports poor and homeless people in Cleveland and Massachusetts. Debby and Bill ended their marriage after 28 years as Debby filed divorce against husband after he was found having an affair with the receptionist of the New York Giants Sharon Shenocca. Reportedly, Bill also presented her several hefty gifts including townhouse with a hefty price tag of a $2.2 million. He shared the home with his then-girlfriend Shenocca after the relationship with his wife crumbled. Though the former pair separated with an official divorce years earlier, they definitely have no bad blood for the sake of their kids. 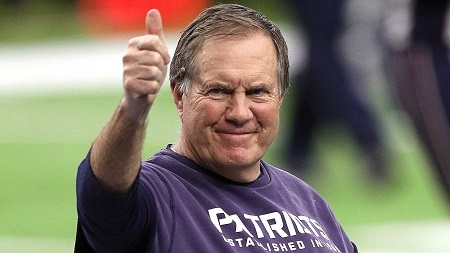 Bill Belichick was born as William Stephen Belichick on April 16, 1952, in Nashville, Tennessee to Jeannette and Steve Belichick. His nickname is The Hoody. He is 5' 11" (1.8 m) tall. He attended Annapolis High School, Phillips Academy in Andover and Wesleyan University in Middletown, Connecticut. Bill's birth sign is Aries. He started his professional career from 1975 an assistant to Baltimore Colts head coach Ted Marchibroda. Bill also served as the head coach of the Cleveland Browns, the defensive coordinator for New York Giants head coach Bill Parcells. His estimated net worth is $35 million.